Bert De Munck is Lecturer in the Department of History at the University of Antwerp, Belgium, where he teaches social and economic history of the early modern period, history and social theory, and European ethnology and heritage. His research focuses on the history of craft guilds, ‘social capital’ and vocational education. Steven L. Kaplan is Professor of European History at Cornell University. He published Les ventres de Paris. Pouvoir et approvisionnement dans la France d’Ancien Régime (Fayard, 1988), Le meilleur pain du monde. Les boulangers de Paris au XVIIIe siècle (Fayard, 1996), La fin des corporations (Fayard, 2001) and (as editor, with Philippe Minard) La France, malade du corporatisme(2004). Hugo Soly is Professor of Early Modern History and Director of the Centre for Historical Research into Urban Transformations at the Vrije Universiteit Brussel, Belgium. His writings focus on five major areas – urban development, poverty and poor relief, ‘deviant’ behaviour, industrialization, and craft guilds. Currently he is working on perceptions of work in pre-industrial Europe. Chapter 9. 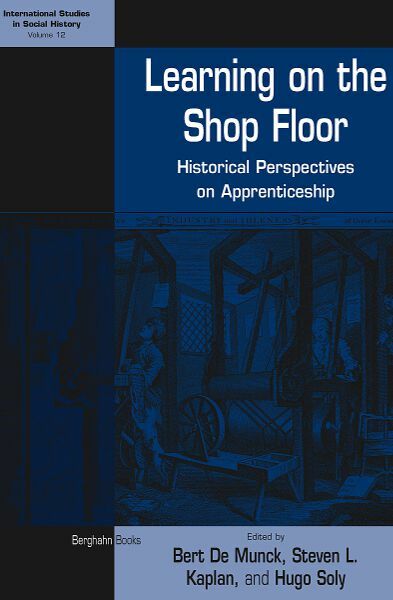 Apprentices in the German and Austrian Crafts in Early Modern Times: Apprentices as Wage Earners?